The new laws include a package of bills meant to address sexual misconduct at the workplace, and most of them take effect Thursday. 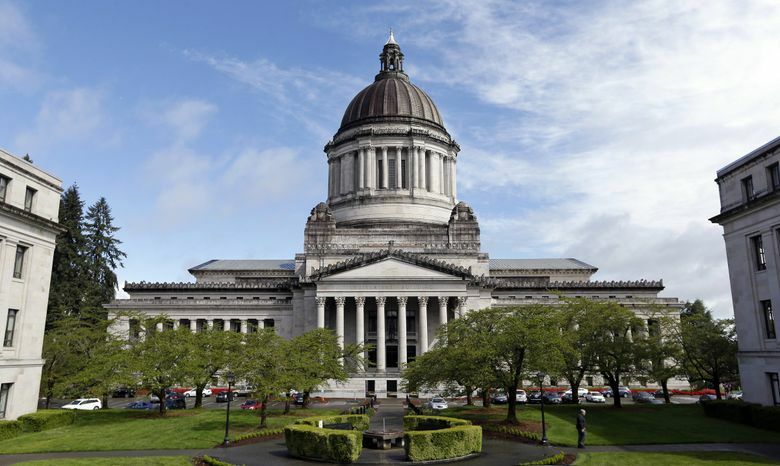 OLYMPIA — More than 200 new laws take effect in Washington state this week, including a package of bills meant to address sexual misconduct at the workplace. Lawmakers ended their 60-day legislative session on time on March 8, and most of the more than 300 bills passed take effect Thursday. WORKPLACE SEXUAL MISCONDUCT: These new laws come in the wake of a national conversation about sexual harassment sparked by the #MeToo movement, and include a measure that prohibits nondisclosure agreements that prevent employees from disclosing sexual harassment or assault. Another directs the Human Rights Commission to create a work group — including representatives from the business community as well as advocates for those affected by sexual harassment — to develop policies to keep workplaces safe from sexual harassment, and the third law voids any employment contract, including arbitration agreements, that don’t have terms protecting an employee’s rights to file sexual harassment or assault complaints with authorities. The fourth new law prevents nondisclosure agreements from affecting the ability to gather information or witness testimony in civil lawsuits related to sexual harassment or assault, and permits the discovery of past instances of sexual harassment or sexual assault in a civil lawsuit regardless of whether there was a nondisclosure agreement. VOTER REPRESENTATION: The Voting Rights Act seeks to reform representation of minorities in local elections. It opens the possibility of court challenges to cities, counties and school districts to push them to switch from at-large to district elections in areas where large minority groups are present. Under the law, before someone can file a legal action, the political entity must be notified of the challenge to their election system, at which point they’ll have 180 days to remedy the complaint. After July 1, 2021, political entities will have 90 days to propose a remedy before a legal action can be filed. EQUAL PAY: Lawmakers passed a bill this year that seeks to reduce the wage gap between men and women and provide equal growth opportunities and fair treatment in the workplace. The new law modifies the state’s Equal Pay Act by making it unacceptable for employers to retaliate against employees for asking about their wages or the salary of other employees. It also prohibits discrimination in providing career advancement opportunities based on gender. STUDENTS’ FREE SPEECH: High-school and college students’ rights to publish and speak freely in school-sponsored media will be protected. Under the new law, editors will be fully responsible for determining what goes into their publication or broadcast. While school administrators wouldn’t be able to prereview college students’ work, school administrators at high schools would be allowed to review content, but would not be allowed to censor any content before publishing unless it contains libelous or slanderous material, or is obscene or incites students to commit unlawful acts on school grounds. CONVERSION THERAPY: It will be deemed “unprofessional conduct” for a licensed health-care provider to perform conversion therapy — trying to change a minor’s sexual orientation or gender identity — on a patient under the age of 18. If the provider violates the law, they face sanctions ranging from fines to license revocation or suspension. The measure does not apply to nonlicensed counselors operating as part of a religious organization, religious denomination or church. MISSING NATIVE AMERICAN WOMEN: The Washington State Patrol will conduct a study on the number of missing Native American women in the state and what additional resources are needed to address the issue. Under the new law, the patrol will hold meetings with tribal and law enforcement groups and will work with the federal Department of Justice to coordinate resources and information sharing. A report with results and recommendations is due to the Legislature by next June 1. NET NEUTRALITY: Washington was the first state to enact its own net-neutrality requirements this year after U.S. regulators repealed Obama-era rules that banned internet providers from blocking content or interfering with online traffic. The new state law — which keeps those previous protections in place — was contingent on the federal rules ending, so unlike the other laws taking effect Thursday, this measure won’t be enacted until the rules expire on June 11. The state law will require internet providers to disclose information about their management practices, performance and commercial terms. Violations are enforceable under the state’s Consumer Protection Act.